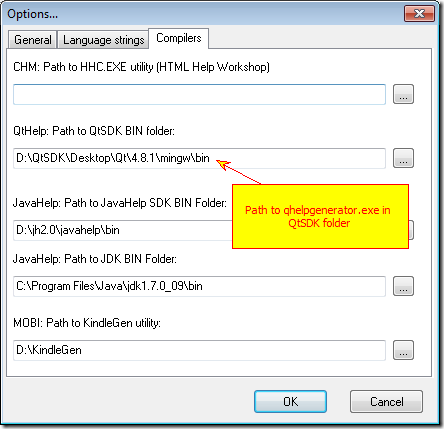 Version 3.9 introduces support of QtHelp format. QtHelp is a help system built-in in Qt library, a cross-platform framework used by a lot of developers around the globe. 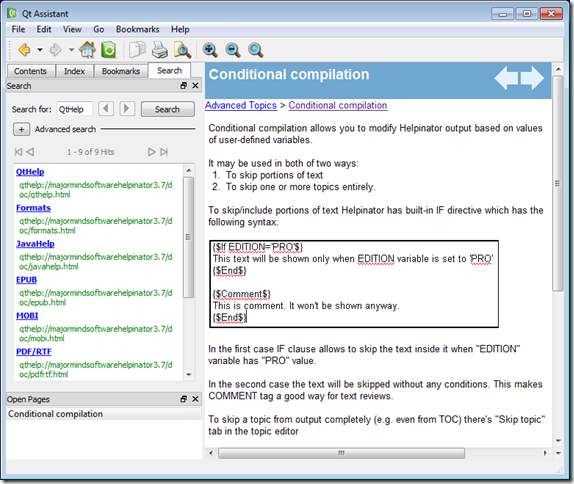 QtHelp has very thoughtful design with help file collections, good HTML support and all essential features of modern help system and has detailed documentation. 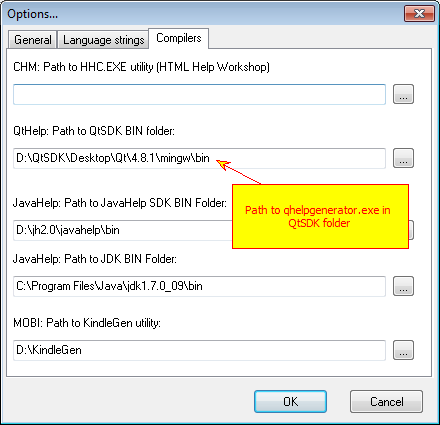 To compile QtHelp you will need to download and install Qt SDK. 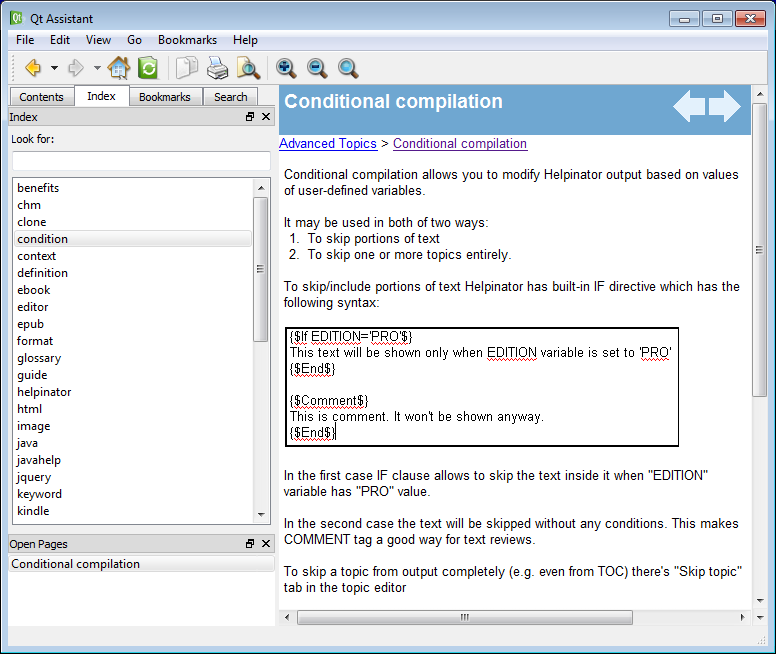 Note that we recommend to use version 4.8 and higher. 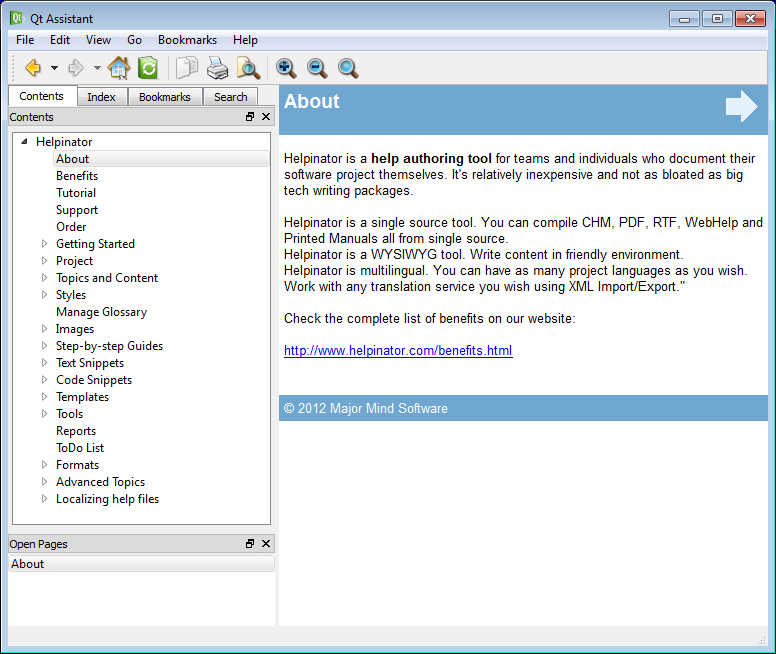 You will also have to change Helpinator Compiler options (Main Menu->Tools->Options, “Compilers” tab). 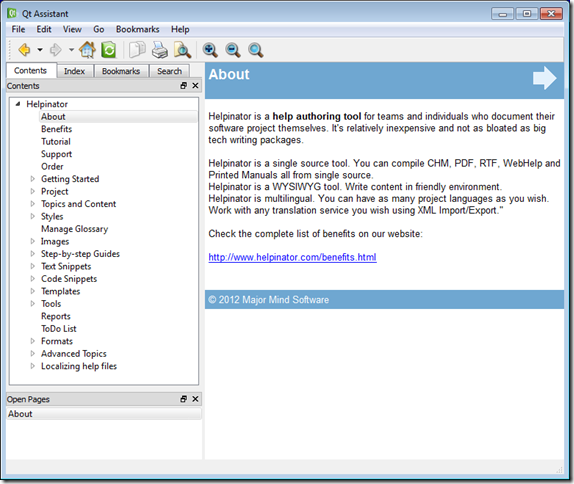 Note that for testing purposes Helpinator automatically creates separate help file collection for your project. 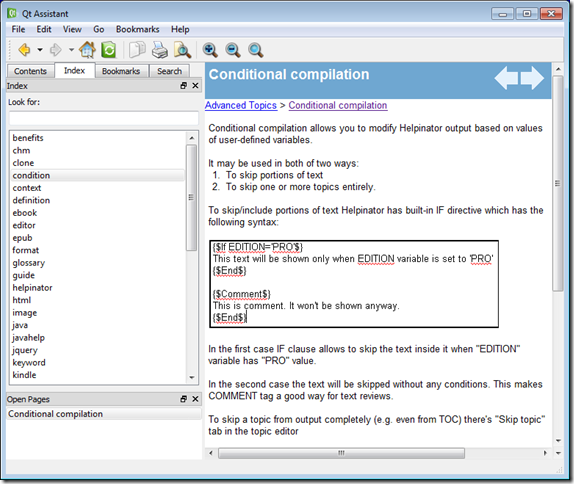 This entry was posted in Help System, QtHelp, What's new and tagged formats, qthelp by dmitripopov. Bookmark the permalink.